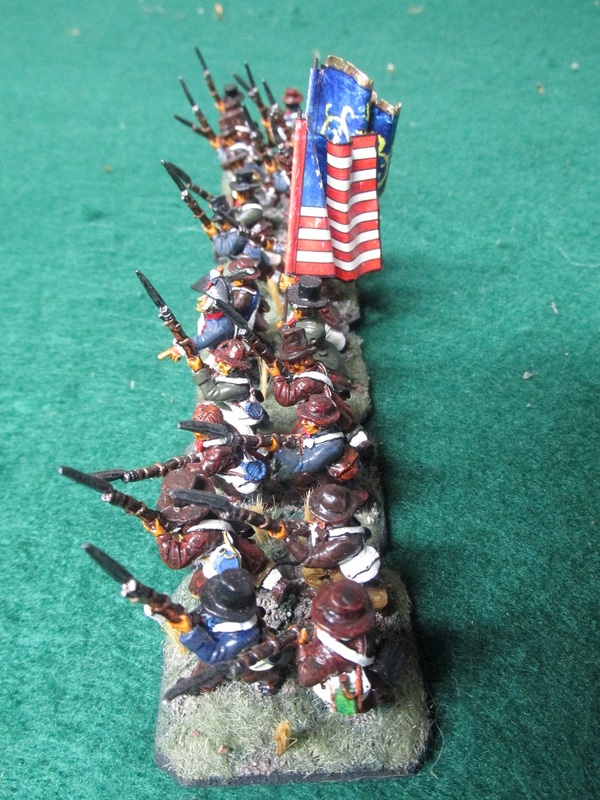 Old Glory War of 1812 American Militia. 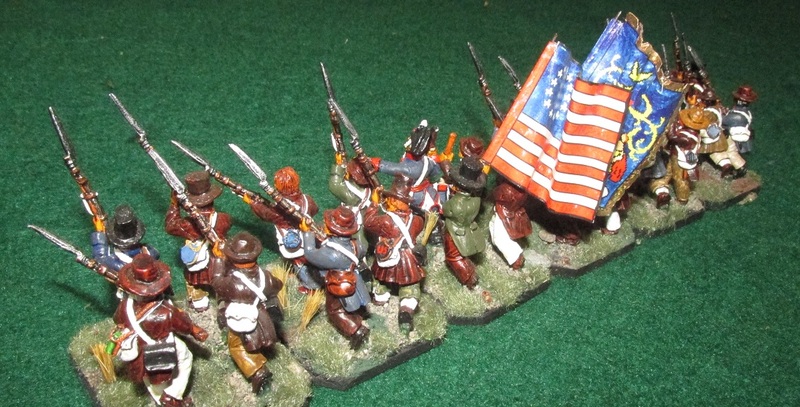 I planned to use these same figures for Canadian Militia with the addition of a cloth tied around the arm to distinguish them from their US counterparts. 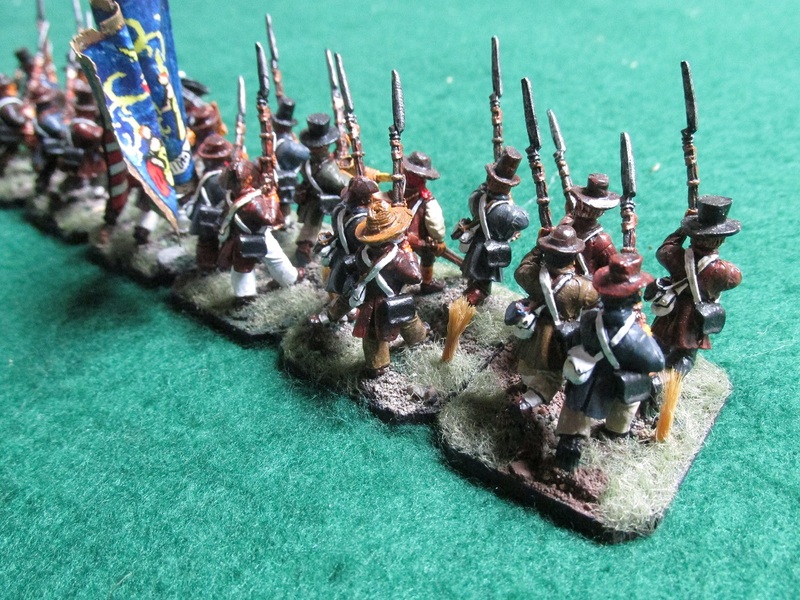 These are lovely figures – probably my favourite of the entire War of 1812 range produced by Old Glory. Figures have good animation, and you get a good variety of poses in the classic 20 figure pack. 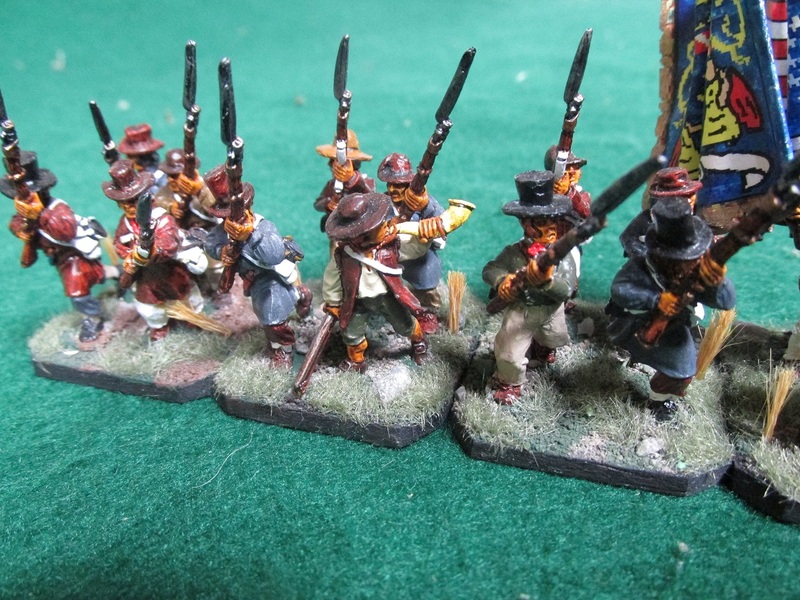 I brought five of these packs – so a lot more militia for me to paint. 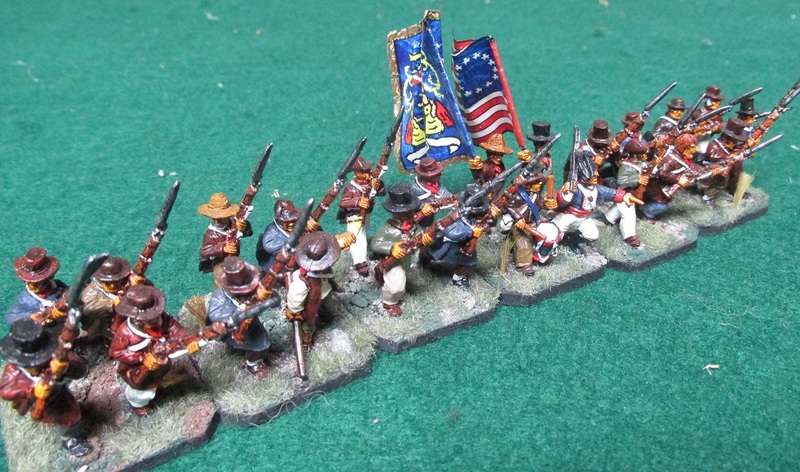 I was thinking that these same figures could be used for almost any civilian militia in the horse and musket era. Specifically Spanish and possibly Portuguese. Flags are variations on Warflags offerings. These were painted back about ten years ago. I am sure I could do a better job today – but I still like them in all their shiny (old) glory. 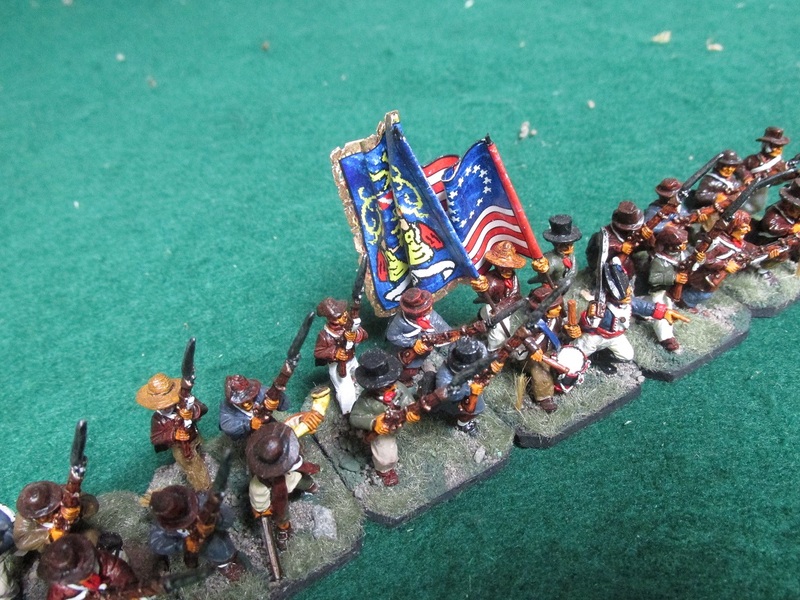 The horn blower is a figure from the old Foundry French Revolution range that included a trio of characters inspired by the Delacriox painting “Liberty Leading the People”. 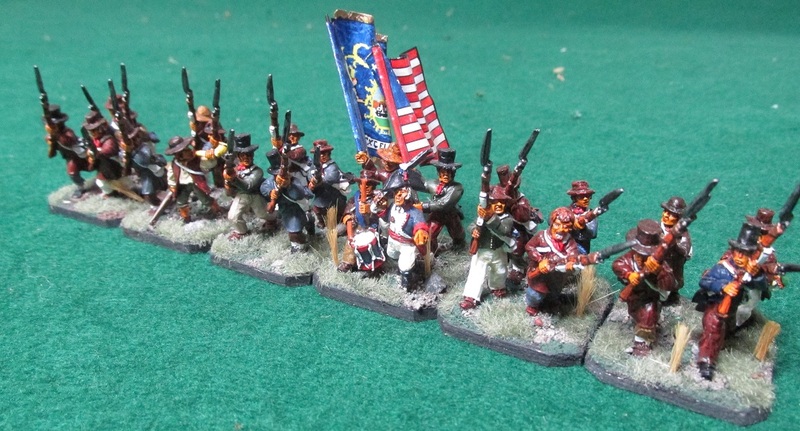 Gear is ammunition and forage bag – simple to paint.